3MG already possesses high quality rail connections, and planned investment at Ditton and elsewhere on the national railway network will further enhance access to the site by rail. 3MG offers direct access to and from the Liverpool branch of the West Coast Main Line (WCML). 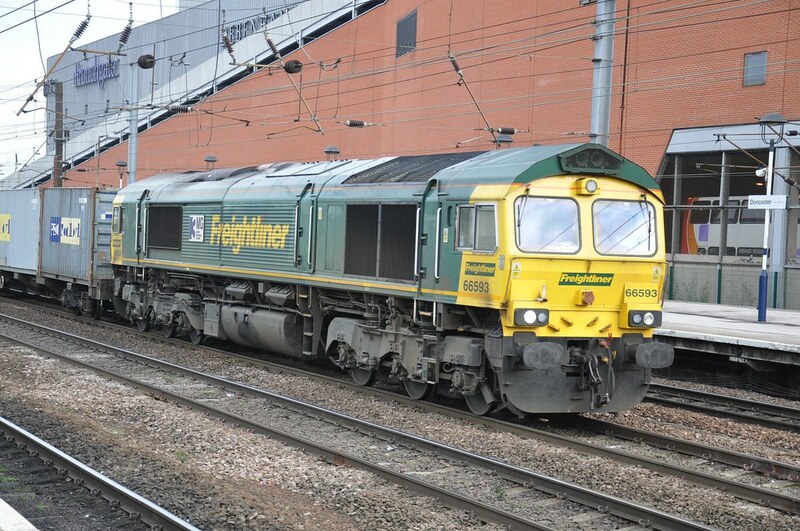 The WCML is the most important freight main line on the national railway network, providing direct routes to the deep sea container ports in the south of England (Felixstowe, Southampton etc.) and the Channel Tunnel. The route is already cleared to the W10 loading gauge, meaning it can accommodate high cube 9’6″ containers on standard intermodal wagons. High cube containers are becoming the standard container shipping unit, particularly on the high volume Far East-Europe and Europe-Americas trade routes. 3MG also offers access to the Ditton-Warrington line, which provides connections to Trans-Pennine routes and Scotland. 3MG already boasts an operational intermodal terminal, operated by the Sobart Group. This terminal is currently served by 5-6 daily trains, handling containers for the world’s major shipping lines e.g. Maersk. This equates to over 120,000 containers per year (see Sea section). The terminal is already capable of handling trains up to 24 wagons in length (approx 500m trailing length). Occupiers of distribution centres at 3MG can therefore receive goods in containers by rail via the on-site intermodal terminal. Within the 3MG site, alignments have been reserved to permit future warehousing developments to be directly served by private rail sidings, should occupiers require such facilities. Freight trains serving 3MG are currently stabled and sectioned at the existing Network Rail freight sidings at Ditton. However, planned investment at Ditton will see the development of three new 775m length reception sidings. These new sidings will increase the rail capacity of 3MG, allowing the site to handle up to 16 trains per day per direction. This is the equivalent of approximately 400,000 HGV movements per annum. The 775m siding length will also allow 3MG to handle full length trains via the Channel Tunnel.